This post is sponsored by Johnson's Baby. As always, all opinions are my own. So you all know that I've been #springcleaning my entire life this season, so of course that meant my upstairs bathroom too! And honestly you guys, decluttering my bathroom has been so relaxing but also very relieving. It's always the littlest things that make me happy! I've been wanting to take this project on for a few months now and finally I did it. There is something about this fresh spring air that just gets me on major decluttering mode. Si o No? I'm really excited to share this post because I know you guys will get motivated to organize your house too! I love getting messages from you guys telling me my tips and ideas help you and I hope this post will do just that. 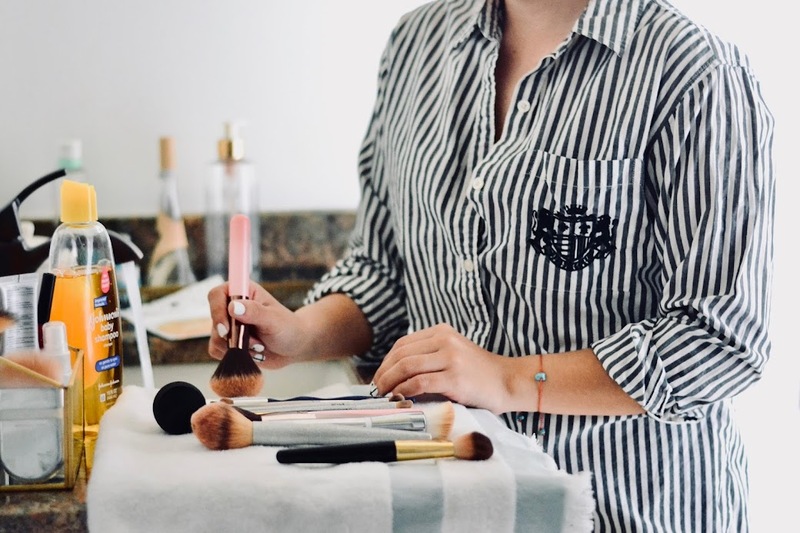 Not only am I going to motivate you to declutter your bathroom and organize your beauty products but I'm also sharing tips on how you can use one product in multiple ways. We can all use the motivation to get organized and declutter our lives away this spring... new season, new you boo! 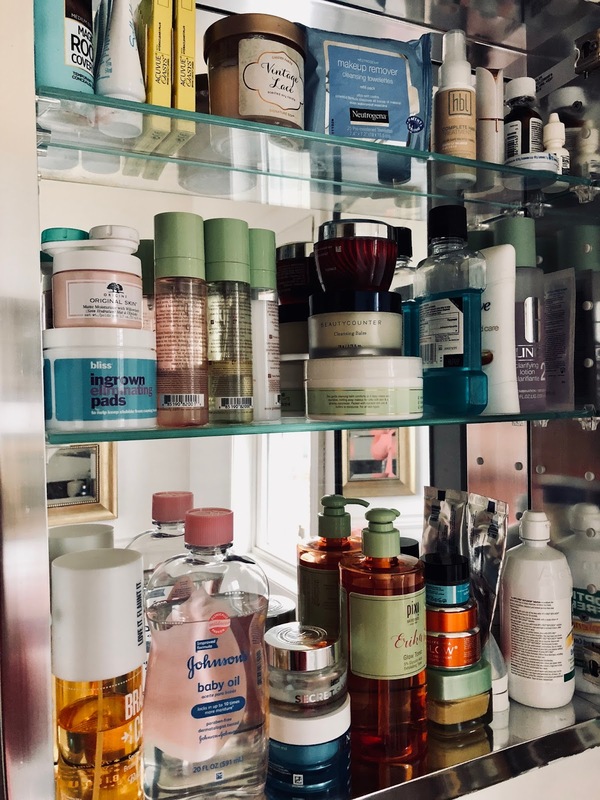 What I love most about products that have multiple purposes is that it helps me save space in my medicine cabinet and/or drawers in my bathroom. 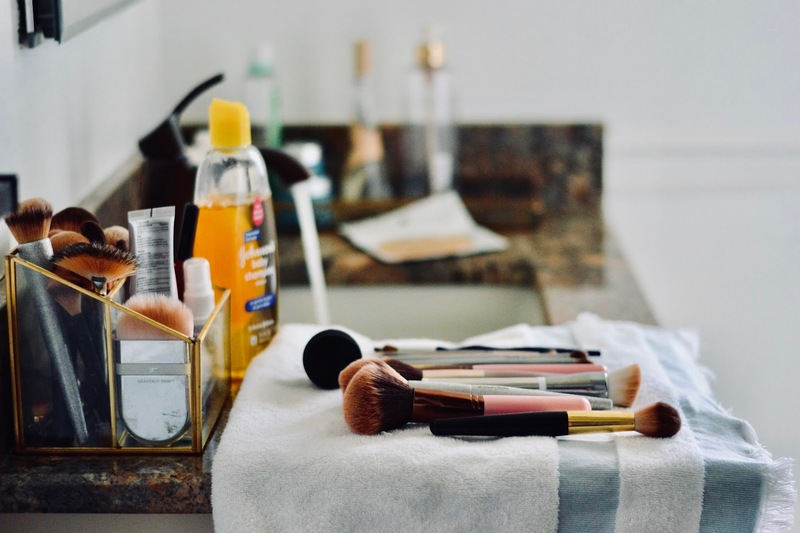 This season has been the season to declutter and reorganize so I figured I would share these tips on how you can use products in more ways than one as well as a couple of helpful ideas on how to declutter your bathroom and keep everything nicely organized. Makeup palettes are life! One palette for your entire face? Yes please! This is a great way to save space even in your makeup bag. I love a good palette because it literally can make up my entire face. 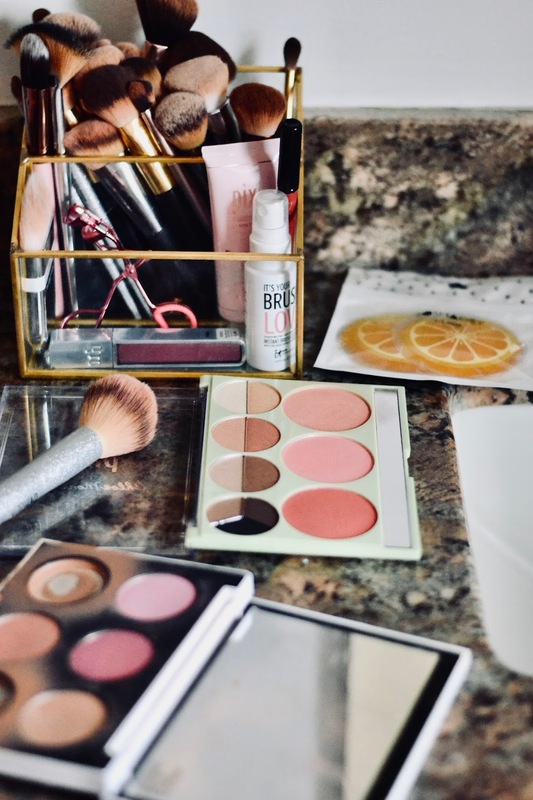 You can use the blush as eyeshadow and on the lips if you mix it with balm and hey a gold eyeshadow can even give you that glow that we all love! Always be sure to check for expiration dates while decluttering your makeup drawers. Expired makeup can cause irritation or allergies on your skin. Read below on how to determine if your makeup has expired. 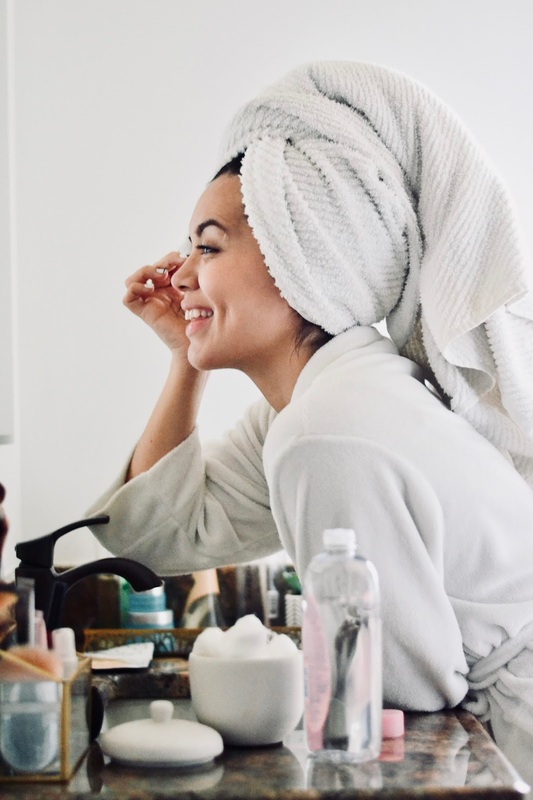 A good rule of thumb is that products without expiration dates (like cosmetics) are good for 3 years from the time it was manufactured, as long as they are stored at room temperature. Johnson's Baby is truly a classic and often brings nostalgia 'till this very day. I clearly remember when I was a little girl, seeing my mom use my Johnson's Baby Oil to remove her eye makeup. And now a days I find myself doing the same. Isn't it amazing how we become our mothers? The older I get the more and more I'm turning into her... and I love it. I've used Johnson's Baby Oil to remove my eye makeup (gracias mami! ), I've used it for extra hydration in winter months as well as a little glow in the summer months. And as a mom, I used it on both my kids on their dry scalp when they were newborns. But nothing compares to the classic yellow Johnson's Baby Shampoo. I've used it on my kids of course... but I've also used in a series of different ways. I've used it to bathe Lola (my shih-tzu! ), I've used it to clean my makeup brushes and beauty blender. I've even used the Baby Wash as a facial cleanser in the shower. It's so gentle and if it's made for my babies it's pretty much made for anything or anyone else. Fun fact: I've even used the shampoo for an impromptu onesie rinse or two whenever we've traveled with the kids. I always carry a travel size bottle with me till this day in Emme's bag! You just never know... #momlife. So while you're reorganizing, also make sure to check for expiration dates and keep only items in good condition. You can find the manufacturer date by the product lot number, located on the back, side or bottom of the product or embossed on the crimped end of the tube. It'll say LOT, followed by four numbers and then a letter (i.e. : LOT 0913L). The manufacture is the fourth digit. (So Lot 0913L was made in 2013, and is therefore good until 2016.) It's so important to get rid of expired products so take this time to look for oldies too. I mean honestly by the time summer gets here I will need a new hobby, after reorganizing every room in this house, I may take this on as a career! haha... just kidding guys, just kidding! 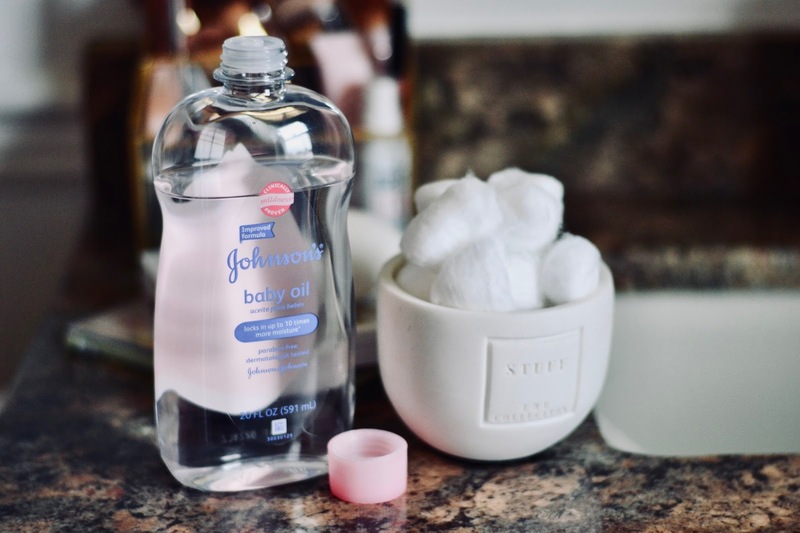 I hope this post was informative and motivational for you;) Tag me in your Johnson Baby posts and tell me in what other ways you use Johnson Baby products.